One of my resolutions for 2018 is going to be to do these posts every month because I keep forgetting! Now there’s loads of your cute photos to share from the last couple of months. Marcy of Moon’s Creations found the golden ticket in my anniversary surprise box and won a mug. She wrote a really cool review of the box and the mug on her blog so go check that out. Pandacat Productions sewed up some Jammie Dodger mini pillows with my cut and sew fabric. 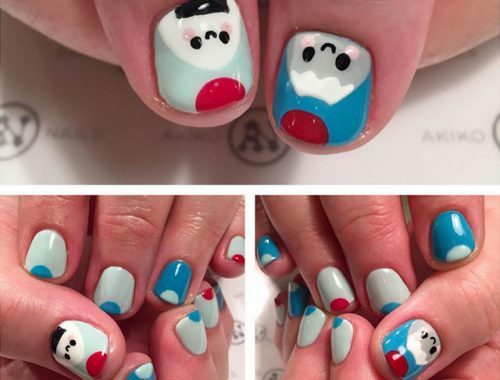 Didn’t they turn out well? 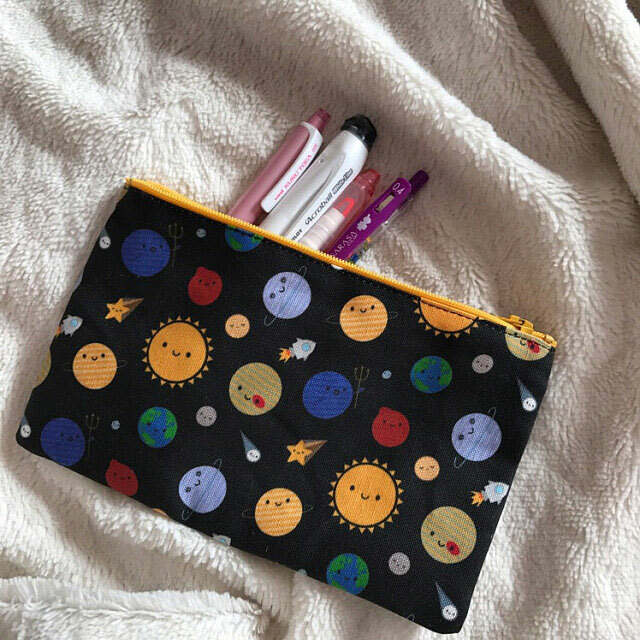 One from Etsy where this cute photo of my Solar System pencil case was added to jormeow’s review. 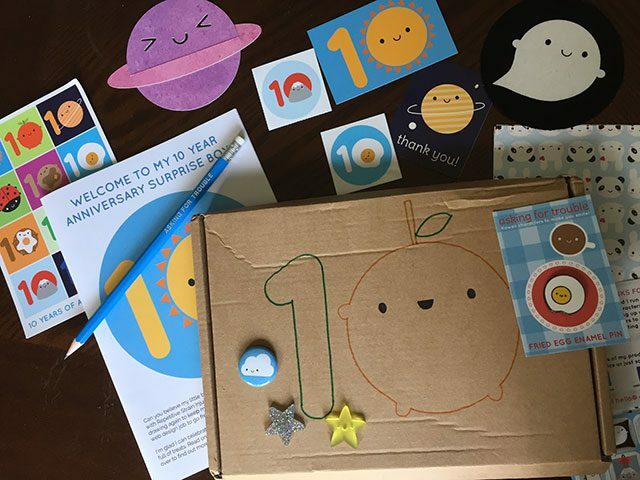 Laura shared this super cool collection of pins including my Little Ghost. Ghost Gangs are my favourite thing to see and Kim has almost the full set! I love this so much. 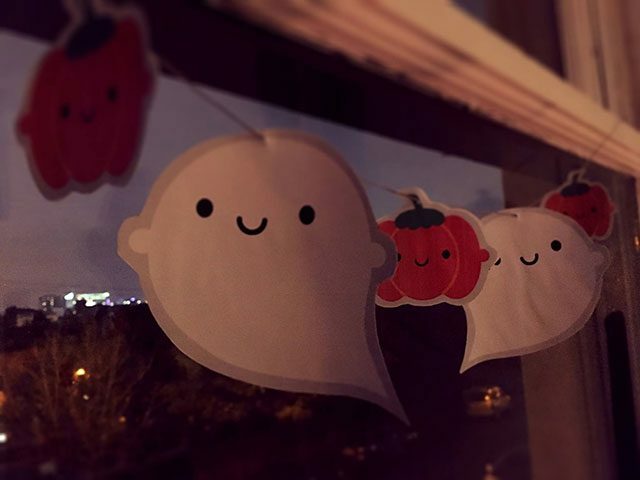 Elisa shared this spooky cute photo of the Halloween garland she made with my free printable. And Phoenix is still keeping up with my free paper craft tutorials. Love this happy ghost. It’s always lovely to hear that my packages cheer up someone’s day. 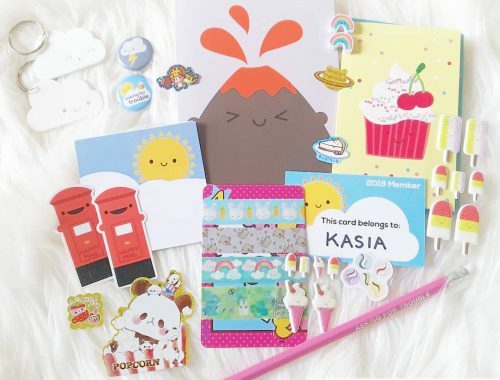 Frances has a fun photo set of my stickers and enamel pins so click through to see the rest. 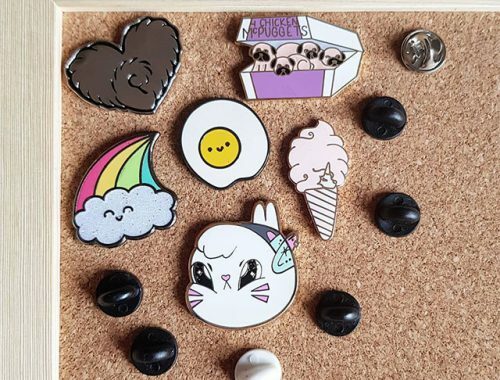 Just a sweet photo of my wooden brooches from Marina, who is always posting cute photos of my stuff, thank you! And finally, there have been so many cool photos of our craft fair zine, but Sally‘s was one of my favourites. She also has a hilarious piece in the zine so go buy one if you haven’t read it yet. I think the Ghost Gang was my favourite photo this time! I send out a little surprise package to my favourite photographer each time I do a post like this so make sure to share yours with me – just tag @marcelinesmith on Instagram, share on my Facebook page, or leave a photo with your order feedback using the Etsy app.